For me, 2010 was a year dripping with God’s goodness and blessings. It was a year that God revealed Himself as El Shaddai (God who is sufficient). Although an unpleasant incident at work did mar the year, but I’m still grateful to God for who He is in my life. 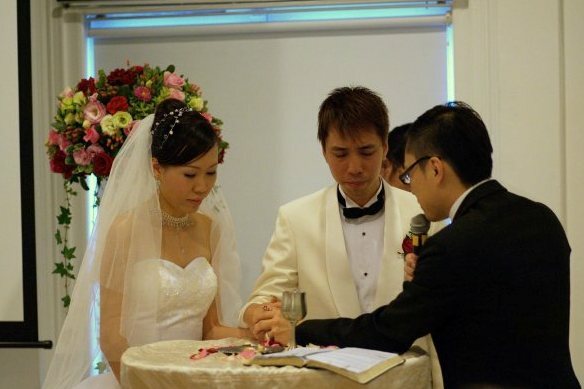 In 2010, I give thanks to God for my wife whom I got married to in the same year. She is a wonderful companion and confidant. A gift from God. I’m thankful for my job too. With it, my capacity had been expanded and I’ve been able to be a greater blessing to those around me with God’s provision and favour. I thank God for my present home church and cell group which God had led me to for this particular season of my life. And there’s no denying that my successes experienced in 2010 are largely underpinned by the spiritual leadership and support of His Church. Without which, I would not be empowered to be who I am and become who I should be in Christ. Finally, I’m thankful that I could witnessed a number of my family members and friends reconciled with God and committing into His family during the past year. All praise and honour to Him alone!